Nelson Cruz hit a two-run home run in the sixth inning and Bud Norris threw six-and -a-third shutout innings, as the Baltimore Orioles beat the Tigers, 2-1, in Detroit on Sunday. The win allowed the Orioles to advance to their first American League Championship Series since 1997. 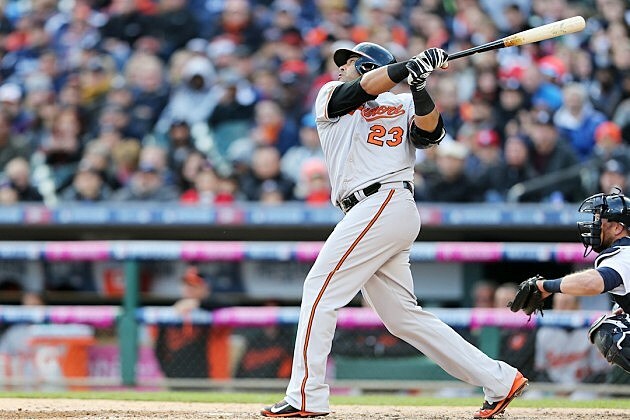 The Orioles are scheduled to host the Royals in Game 1 of the ALCS on Friday in Baltimore. Baltimore closer Zach Britton got pinch-hitter Hernan Perez to ground into a double-play with the tying and winning runs on base in the bottom of the ninth inning to end the game. Baltimore swept the best-of-five series three games to none. Norris out-pitched Detroit starter David Price, who joined Max Scherzer and Justin Verlander as the latest Tigers’ Cy Young winner to fail to gain a post-season victory in 2014. Cruz’s home run, his 16th of his post-season career, gave his team a lead it would never relinquish. Eric Hosmer and Mike Moustakas homered and Alex Gordon drove in three runs, as the Royals completed a three-game sweep of the Los Angeles Angels, 8-3, in Kansas City on Sunday. James Shields pitched six innings, allowing two runs on six hits on his way to the win. Mike Trout and Albert Pujols hit solo home runs for Los Angeles. The Royals topped the Angels despite the Halos’ American-League leading 98 regular-season wins. Kansas City advanced to face the Orioles in the American League Championship Series which begins in Baltimore on Friday. 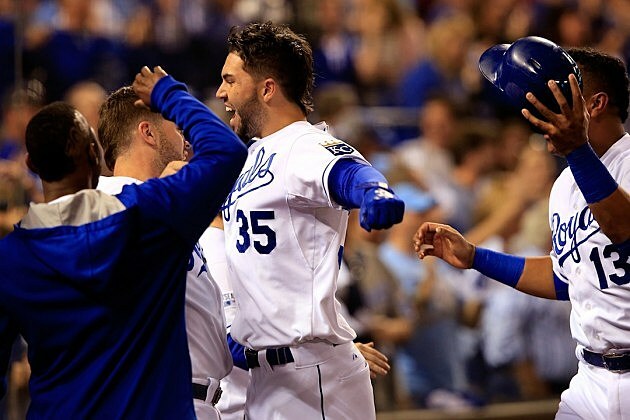 It’s the Royals’ first trip to the ALCS since they won the World Series in 1985.